From afar, Cimarron Creek seems like an idyllic town tucked in the Texas Hill Country. But when former schoolteacher Lydia Crawford steps onto its dusty streets in 1880, she finds a town with a deep-seated resentment of Northerners--like her. Lydia won't let that get her down, though. All will be well when she's reunited with her fiancé. But when she discovers he has disappeared--and that he left behind a pregnant wife--Lydia is at a loss about what to do next. The handsome sheriff urges her to trust him, but can she trust anyone in this town where secrets are as prevalent as bluebonnets in spring? Bestselling author Amanda Cabot invites readers back into Texas's storied past to experience love and adventure against a backdrop of tension and mystery in this first book in a brand-new series. 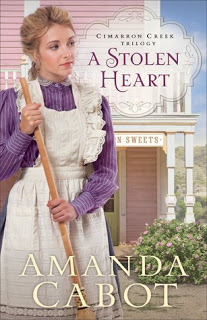 Amanda Cabot writes something new and refreshing with "A Stolen Heart" and the time period. I love the raw emotions of how this book made me feel between the character and the man she was in love with. It will have you turning the pages as you try to figure out what will happen next. This book hints at tension, mystery and has the reader on edge. This book does not hint at past violence though, which wasn't a hindrance to me, I just always want you as the reader to know that going into a book. I think the rest of this series will be good and full of intrigue for reader to who love Cabot. I think you'll enjoy this book and the town of Cimarron Creek. I received this book from the publisher and a favorable review was not required. I give this book 4/5 stars. "With both parents avid readers, it's no surprise that Amanda Cabot learned to read at an early age. From there it was only a small step to deciding to become a writer. Of course, deciding and becoming are two different things, as she soon discovered. 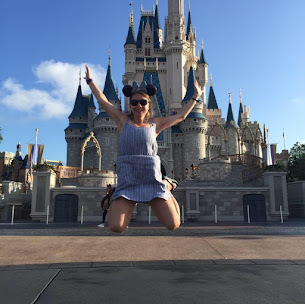 Fortunately for the world, her first attempts at fiction, which included a play for her fifth grade class entitled "All About Thermometers," were not published, but she did meet her goal of selling a novel by her thirtieth birthday. Since then she's sold more than thirty novels under a variety of pseudonyms. 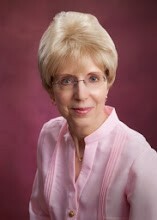 When she's not writing, Amanda enjoys sewing, cooking and - of course - reading." I love your book reviews. I am so glad to follow you by email. Anytime an email pops up, I immediately head over to read what you are saying about books. Thank you so much for this review.. I was on the fence about this book, but I am going to buy it. Ps, that was from Anna. I like your point of view on this one! Thanks so much for taking the time to read and review A Stolen Heart. I appreciate your comments and am glad that you enjoyed the story.